Over half of the working population are millennials. It’s a frightening prospect for many, particularly those in management who see their younger counterparts as a threat to the established rhythm of life, bringing with them bizarre green fruits and undrinkable single-origin coffee. In reality, millennials aren’t coffee-swilling-avocado-eating-brunch-going trendies, who live with their parents and hate working. These are in fact the outliers. Rather boringly, this generation is like any other; normal people with slightly different styles and trends. If there’s a breakdown in communication between the management sphere and your junior staff, then start by learning their language. Digital technology in the workplace is only going to become more prevalent, so make a conscious effort to confront and integrate the new systems of communication. Engage with how your employees choose to communicate. If they are using Slack, or Whatsapp, make an effort to use it personally even if just to a degree that you understand what they're talking about on a basic level. The same goes for your benefits offering - make sure it is easy to know what's on offer, and that those offers are accessible from any device, and benefits can be accessed on the go, both inside and outside of work for constant engagement. A stiff upper lip is no use here. Millennials want praise on the one hand and guidance on the other. The problem is that most businesses are systematically poor at day-to-day feedback. Its absence is keenly felt among the younger generation and can often give the impression that they aren't valued members of the team. Having a well thought out approach to rewarding and recognising behaviours and efforts embedded across your organisation is fundamental for winning the hearts and minds of millennials. Perkbox's Recognition platform offers an easy-to-use, digital approach to recognition - one that particularly resonates well with this cohort, and indeed any diverse workforce. According to the Millennial Impact Report, 87% of people surveyed said they were more likely to buy products from companies they felt were socially conscious. The report goes on to posit that the generation are more likely than any before them to research a company's ethical credentials. So if your company is lacking in corporate social responsibility (CSR) schemes, then that's a good place to start. 4. Jazz up your office. Some stereotypes have credence and millennials want their workplaces to be fun. Information collected from the Great Perk Search (2018) revealed that the top three benefits employees wish they had were extracurricular clubs, pool tables and ping pong tables. This doesn’t mean you have to go full-blown Google – having a games room or organising office sporting events shouldn’t be expensive and could make a significant difference to the morale of your staff. One in five millennials questioned the impact they were having in their work. This is a primary source of disengagement and will often lead to staff turnover. Improving in this area isn't hard or costly, it’s simply a question of time and effort. 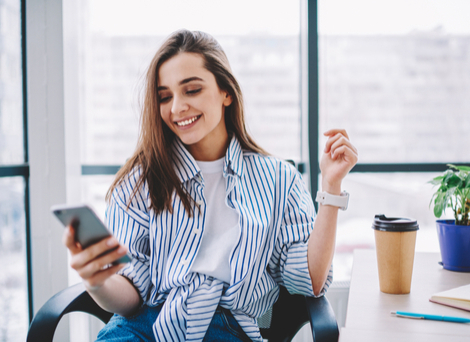 Make sure your millennial staff base have lots of opportunities to develop themselves through e-learning, and career development opportunities. Make sure they feel aligned to the organisation's goals and mission - through regular company-wide feedback sessions. With most of the generation now well into their 20s and 30s, it’s quite possible that what we’re discussing now is the status quo and not a permaculture movement. 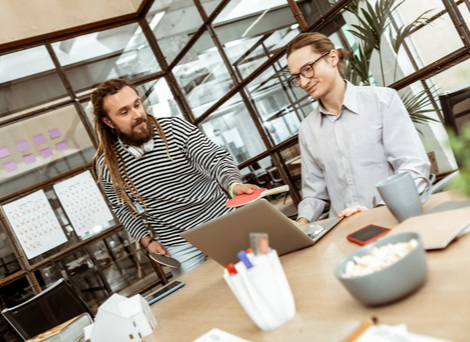 The advice offered is not actually much to do with millennials themselves but how to ensure that your business is operating in a productive and modern way.